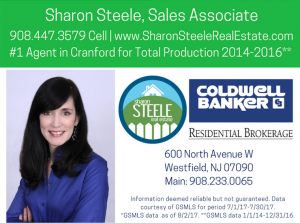 Here is the scheduled GSMLS Open House List for residential real estate in Cranford, Westfield, Clark, Garwood, Kenilworth, Mountainside, Scotch Plains and Fanwood NJ for November 17-18, 2018. Open Houses are on Sunday from 1-4pm unless otherwise noted! Some are Saturday and some have different times. Please let me know if you would like information about these, or any other properties. I would be happy to schedule appointments at your convenience. And if you do visit Open Houses, please let the hosting agents know that I sent you!